Dubai, United Arab Emirates: Building operators are under increased pressure to make their facilities safer, more comfortable and more efficient, all while reducing operating costs, according to Honeywell (NYSE: HON), a global leader in building automation software and smart building technologies. In order to achieve this, building operators in the Middle East and around the world are turning to the Internet of Things (IoT) to help deliver these results. This was the message at Honeywell’s latest industry roadshow held in the UAE this week, with future stops scheduled in Turkey and Russia. In the UAE alone, total IoT market spend will almost double by 2019 to $762 million, up from $343 million in 2015, according to global market intelligence firm IDC. With the shift to software-based solutions hosted in the cloud, there is a wealth of new opportunities to improve building efficiencies as well as the experience of building users. The Honeywell ‘smart building’ roadshows come shortly after the release of an update to Honeywell’s leading building management system, Enterprise Buildings Integrator (EBI), to support the region’s smart building and smart cities ambitions. EBI R500 leverages the connectivity of today’s buildings to help make them more strategic assets that are green, safe and productive. 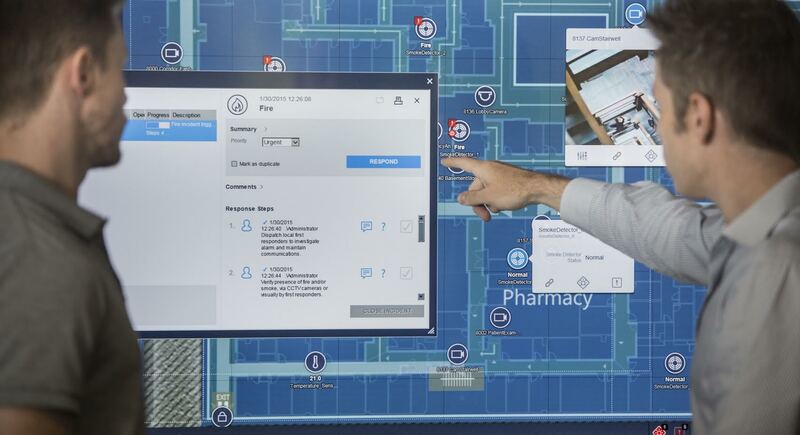 The new features help facility managers better streamline management and decision-making, promoting improved business efficiencies and providing greater control over operations. EBI R500 improves the region’s facility managers’ ability to turn building data into actionable insights to deliver real outcomes in real time. EBI also features a new mobile application that provides facility managers with greater situational awareness of building performance and operations, by informing them of equipment issues before system failures or disruptions to the organization’s operation occur. The mobile app also allows for remote access and management of building systems and data. At the UAE roadshow, Honeywell’s Khurana discussed the company’s answer to market changes, and how technology is driving innovation and shaping business outcomes. He was joined by Paul Black, IDC research director, who spoke about how IoT will change the real estate sector in the Middle East. Pete Costa, vice president for Honeywell Building Solutions, High Growth Regions, also spoke on the role of integrated technology in smart cities. Honeywell’s leading technology offer was also demonstrated at the event. Technology and apps are rapidly allowing building owners and facilities management to streamline operations by automating systems that flag up faults that may arise or when assets are coming to the end of their lifecycles. These technologies ensure that users stay connected to their buildings at all times.